The hat that started The Tea Collection. 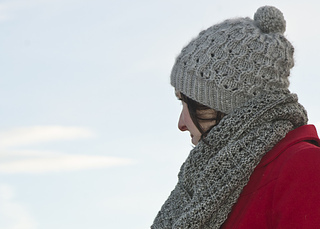 Lapsang is a quick and easy chunky knit with a lovely eyelet pattern worked in delightfully warm baby Alpaca. 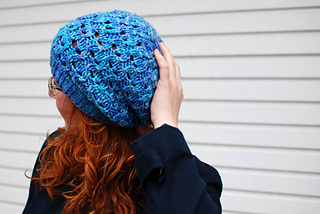 Sumptuous and soft this yarn envelopes your head, keeping you warm and stylish on the coldest days. 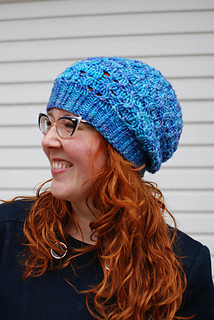 The stitch pattern is truly reversible giving you two fabulous hat options in one. 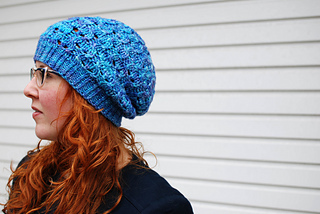 Available in two styles (fitted and slouchy) and three sizes. 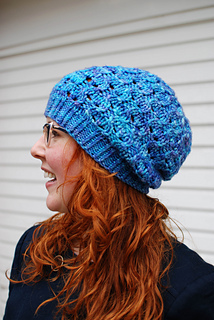 Choose a bouncier yarn, like Ginger’s Hand Dyed Flumps Chunky for a less slouchy look. The tea: Lapsang is sometimes referred to as smoked tea, its distinct flavour and aroma comes from the process of roasting the leaves over pinewood. Originally from the Chinese province of Fujian this is certainly an interesting brew. 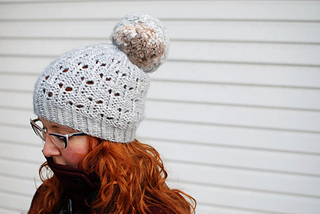 Optional: ready made pom pom or yarn for creating a pom pom. 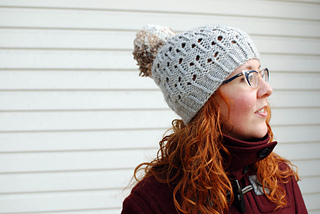 See notes about yardage and creating a pom pom from your remaining yarn. 15 sts and 20 rnds over 10cm / 4in of eyelet pattern worked in the rnd and blocked, using 6.5mm / US10.5 needles. 17 sts and 28 rnds over 10cm / 4in of 2x1 twisted rib worked in the rnd and blocked, using 5mm / US8 needles.